I meant to blog yesterday, but instead I worked on my Woodley Road story. I wrote 1,000 words, and I feel like it helped to drag me out of my funk. The story is Southern Fiction set in the 1920’s and takes a ton of research, but wow, I’ve found out loads of information about cotton farming and life in rural Alabama in 1920s. Research can be fun. I like becoming a mini-expert on these topics. My goal over the next few weeks is to get out to Ramer to see the area I’m writing about. I’ve been there before, but it’s be awhile. I’d like to walk in Anna Kate’s shoes and feel the soil underneath her feet. I sat down to write this blog several times over the weekend, and it unintentionally became a Monday Blog. Hubby and I were busy going on dates galore. Then we had people over yesterday. We were social butterflies, and it’s fun but I’m exhausted. Plus, my five year old daughter is still out of sorts. She’s adjusting to starting her new school. I’m adjusting to her temper tantrums. I’m bad at dealing with tantrums. I need to bring my yoga into it, practice my breathing and just let her go through the ebbs and flows of her feelings. I’m good at writing emotions, but not great at dealing with them in real life. I need to practice, just like my writing, to make sure she knows anger is a feeling and it’s okay to feel it. Unfortunately, both hubby and I were (maybe still are) tantrum-throwers, so our natural inclination is to yell. And that’s the wrong thing to do. As I lay in bed last night, I thought about how I’m ruining my child’s life forever, by not responding to her tantrums in an adult-like manner. I had that big overwhelming emotion of, “Oh God, because I lost it while she lost it she’s going to be depressed and emo and a mess as an adult.” I’d like to give her the tools now to deal with her emotions so maybe it won’t take her as long as it took me to get it. I want her to be able to feel her emotions, recognize them, work through them, and then let them go instead of bottling them up. As I deal with these things with my daughter, I’m reminded of the influences they may have on my work. I should be able to write a Mommy Meltdown pretty dang good by now. And if Everett (Anna Kate’s little brother) throws a temper tantrum, I’ll be able to write it realistically too. It’s hard being a parent. What have you been up to lately in life and/or writing? What are you trying to cope with/get better at dealing with? Don’t miss out! 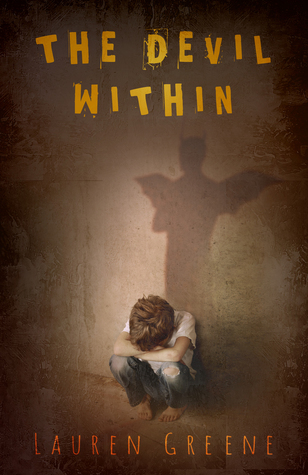 There’s still time to win a free copy of The Devil Within. Click below to enter to win! Sarah–I read your blog, and I want to give you tons of hugs! Staying calm is so important, and you’re right, it makes it easier if the parent can lead by staying calm. Hugs as you go through this time with him. I know it is hard on you both! I can relate. My son is 6. I have the same thoughts of ruining his life too. Talking about emotions helps prevent tantrums in my house, as does not being tired (sometimes unavoidable). In times like this, I think about my mom and I understand some of her behaviors more. Good luck with the writing. I am intrigued by what little you’ve provided in this post. Ula–I know. I have such an insight on my parents now too. We are having a family meeting tonight to discuss our emotions, specifically anger, and to role-play a little bit. It should help I think! Thank you for letting me know I’m not alone. Don’t beat yourself up! As someone who is also recovering from all that crazy emotional stuff, the fact that your child is watching you go through the steps of learning to do it better is SUCH a good lesson. Your child doesn’t have the “perfect” example to live up to, but rather, the example of someone who is working to be better. Since none of us are perfect, that’s an amazing tool to give your child! I agree Danica! Thank you for your insight. I know it will get better, and she and I will work to make it better together. I definitely can relate. I deal with this daily with my kids. I have two under five, and some days are so hectic. I love them so much and worry every day if I’m being the parent I should be to them. I’m at home with them both (except when the oldest is in preschool), but I’m also an editor and a writer. So trying to balance everything isn’t easy, and there are definitely days I feel like a failure as a mom. But it’s about doing the very best we can, and we all have our bad days. Danica is definitely right. Just helping your child see you work through it is giving her the very best tools you can. Thank you for the post! It’s really nice to know I’m not alone in this struggle, and I feel for you so much. Being a parent (and a writer) is not easy at all! Being a parent is tough, and I’ve done it alone for the past nearly 13 years. I had help from family and friends and learned how to deal with those tantrums. Believe me I had my share from two children. It does get easier the older they get! Thanks for sharing!